Explore the Azuaje Special Natural Reserve in Gran Canaria. 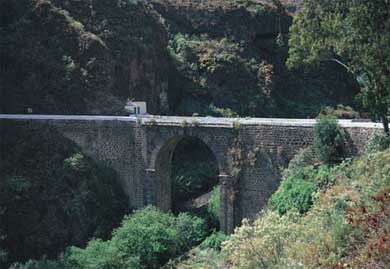 The Azuaje Special Natural Reserve is located in the interior of the Doramas Rural Park on the north of Gran Canaria occupying the municipalities of Firgas and Moya. In this natural reserve you’ll discover one of the most spectacular ravines in the whole island of Gran Canaria. You’ll be impressed both by its depth as well as by its length. The fauna in Azuaje is quite scarce yet its flora is worthy of your admiration, here you’ll also find many protected species. This reserve’s ravine as a spectacular stretch of great beauty and an important landscape interest. The Azuaje Reserva also has a wide paleontological value due to the fact that here you might find an important fossil site.